In 1916, Dorothy Woodruff Hillman and Rosamond Underwood Carpenter, both class of 1909, bravely traveled west from their privileged lives in Auburn, New York, to teach at a new school in the remote, mountain settlement of Elkhead, Colorado. Their story first appeared in a 2009 article in the New Yorker, written by Hillman’s granddaughter, Dorothy Wickenden, the magazine’s executive editor. 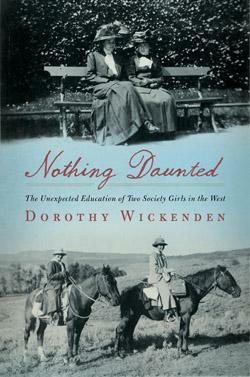 In her new book, Nothing Daunted: The Unexpected Education of Two Society Girls in the West (Scribner, June 2011), Wickenden shares deeper insights into the women’s experiences, along with details about the lives and dreams of the settlers seeking opportunity in the West. Here she talks about the book and her own impressions of the two cultivated young women who traveled by rail over the Continental Divide to a hardscrabble year of adventure. Nothing Daunted started out as an article for the New Yorker, and when I finished it, I discovered that I’d only just begun to tell the story. I wanted to write a Western from the point of view of two young women from the East. To do that, I had to describe their pampered upbringing in Auburn, their years at Smith, and their nine-month grand tour of Europe after graduation. All of that was a great set-up for their adventure in the wilds of Colorado teaching school. Your book is both a personal story and one about America’s history of settling the West. What were a few of the most surprising ideas and facts you uncovered from letters and from your research? I was struck by the brevity and intimacy of America’s past. Everything I stumbled across seemed to prove the theory of six degrees of separation. Dorothy’s grandfather lived next door to William Seward, President Lincoln’s Secretary of State. His home was later bought by one of the country’s foremost feminists and transformed into a Woman’s Union. When Dorothy and Ros returned from Smith, they began organizing their own suffrage meetings there. Then, in 1916, they decided to be really modern women, and got themselves hired. Talk about the deep friendship Dorothy and Ros shared. Their friendship began in kindergarten and lasted 83 years. In a sense, the book is a love story—about two intelligent, spirited, good-natured women who endlessly entertained and respected each other. Neither would have gone west alone, but together they had the best year of their lives. Dorothy admired the people of Elkhead and the “uncomplaining endurance” of the settlers and their children. How did this experience change her and Ros? Dorothy and Ros never got over the courage of the homesteaders. Ros wrote about the children who arrived at school in the winter after trudging for miles through blizzards in ragged clothes, “They just have to stand it, so they do.” Dorothy wrote frequently about the women managing both children and ranch work; the county schools superintendent, one of the earliest pioneers, did all of that and her paid job. Nobody whined about the weather, even though the snow blew through the chinks in the logs at night. When Ros and Dorothy later faced great personal difficulties of their own, they summoned to mind “these wonderful people,” as Dorothy described them, and how they had coped. What do you think today’s educators might gain from reading about Dorothy and Ros’ teaching experience? There was no “teaching to the test,” and no choice between public, private, parochial, or charter school. These families were grateful to have a classroom at all. In the 1970s, one of Ros’ students, who had grown up to become an award-winning teacher in Colorado, said of Ros and Dorothy, “What they didn’t know about teaching methods, they made up in zeal.” Despite their lack of experience, Dorothy and Ros managed to teach Latin, algebra, ancient history, US history, geography, English, and current events. Tell us about the title, which was inspired by Rosamond’s oral history. Why is Dorothy and Rosamond’s story relevant today? All of the principal characters in the book felt certain that they were building a better future—for themselves and for the country. It didn’t work out that way for some of them, but my grandmother lived by the creed that you wouldn’t be happy unless you tried to help others—an idea that seems quaint today. Even so, the spirit of the people who built and taught in that schoolhouse can still be seen in young college graduates who go off to the Peace Corps or who join Teach for America. 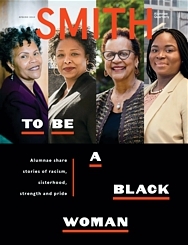 Why will Smith alumnae be inspired by this book? At a time when few women were attending college at all, Smith was producing graduates who went on to become doctors, professors, and social workers, as well as homemakers. Charlotte Perry 1911 and Portia Mansfield 1910, figure prominently in the book. Charlotte, who had known Dorothy and Ros at Smith, recommended them for their jobs in Elkhead—female networking in the still-wild Rockies! In 1916, Charlotte and Portia were just starting the first performing arts camp in the country, in Steamboat Springs, CO. It played a key role in modern dance in the United States, and drew young choreographers from Merce Cunningham to Agnes de Mille. The Perry-Mansfield Performing Arts School and Camp is still going today. Although she didn’t attend Smith herself, Dorothy Wickenden’s broad knowledge of the Smith experience was influenced by her family legacy of Smith women. Her grandmother’s older sister was Anna Woodruff 1897. 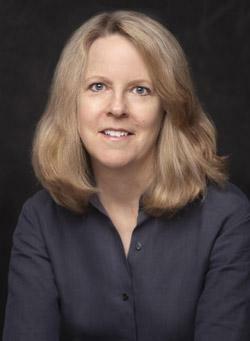 Wickenden’s mother is Hermione Hillman Wickenden ’48, and her aunt is Caroline Hillman Backlund ’42.